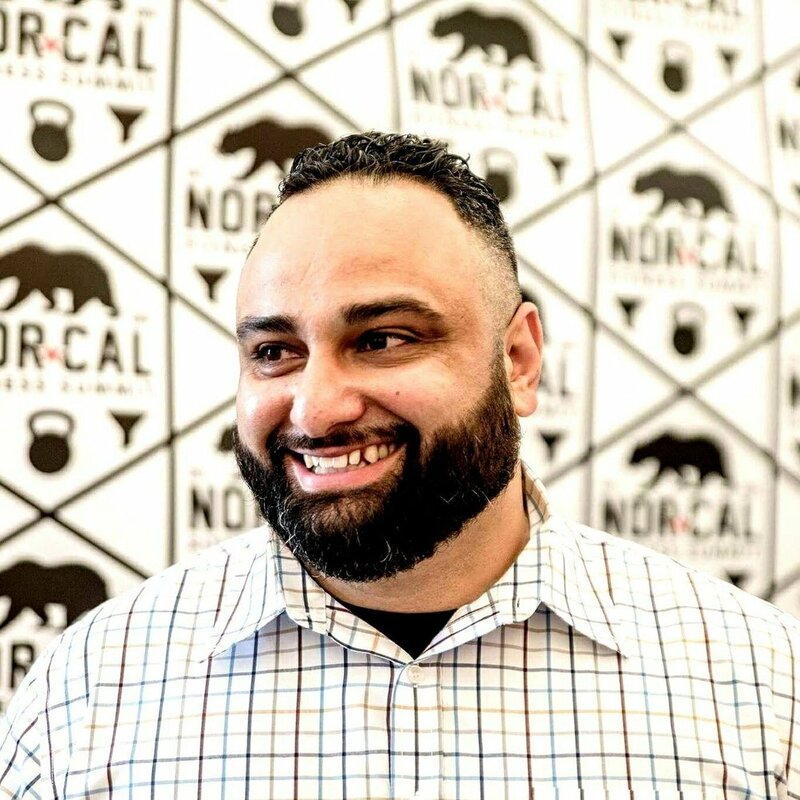 Khaled Elmasri is the founder of NorCal Fitness Summit and Regional Fitness Manager at Bay Club SF. Khaled’s work as the Founder of the Summit as well as a consulting business (RISE Fitness Business Coaching) helps fitness entrepreneurs 1-3 years into their business lay the foundations needed to create a successful business. His ultimate goal is for each fitness professional who attends NorCal Fitness Summit to create a business free of resentment so life doesn’t pass them by. Matt: Khaled, what was your motivation to pursue a career in the fitness industry? Khaled: I had family members who were obese and overweight when I was younger. I saw the struggles they had to go through every single day and the changes to their bodies and health over time. Obesity was winning and they couldn’t overcome that challenge. I was always playing sports at a young age and it was really eye-opening for me to be exposed to family members who were essentially giving up. My world didn’t make sense. I spent a lot of time thinking about this. In high school I was privileged enough to have a trainer who helped me get ready for football between my junior and senior year. I was able to get some great results while working with him. I put on some size and got faster. After seeing the impact that this trainer had on my life it made me think that it was something I could do as well. I was very interested in being able to have a positive impact on other people’s lives. So I ended up applying to a local gym and started at the front desk. I eventually moved on to start working as a trainer and after that became a fitness manager. This all goes back to seeing friends and family members struggle with weight. I actually had a friend who passed away because she was 100 pounds overweight. I couldn’t handle seeing stuff like that anymore and wanted to do whatever I could to help people in need. Matt: What were your early days like as a personal trainer? What challenges did you have? Khaled: I wasn’t specific enough with selecting my target clientele. No one taught me how to find a niche or target market. I trained everyone because I wanted to make money, you know? I had no time-management skills so I was working 12-15 hours a day seven days a week. Training clients back to back to back. The quality of my work wasn’t the greatest because I was focused on just getting as many sessions as possible in. I wish I had someone back then to sit me down and show me how to find a target market that best matched me. People that I was excited to work with, you know? I had clients back then who were amazing and others who just sucked the energy out of me. At the time I felt that I had to keep both of them. I didn’t have enough confidence in myself to get rid of the clients who weren’t a perfect match for me. Matt: How long did it take you to get to the point where you built up the skills necessary to be a well-rounded personal trainer? Khaled: It took me about a year and a half. I had to really learn how to connect with people and build relationships. Sales came easy to me, but learning how to connect with and find the right group of people took longer. Right around that time frame was when I really started to really understand the business side of being a trainer. Matt: What was preventing your co-workers at that time from continuing their careers and getting past that two year barrier many novice trainers end up running into? Khaled: Honestly, I think that they couldn’t get out of their own way. They couldn’t get past the fear of rejection and fear of other people’s perception of them as a trainer. There were plenty of good trainers, but when it came to progressing their business it was common for young trainers to limit their own growth in this area. It’s still the most common thing I hear over and over when talking to young trainers. Trainers don’t like to sell because they don’t want to be judged. They don’t want to be seen as pushy. These young trainers didn’t have confidence in themselves as experts in this field that could really help change someone’s life. Matt: When did you transition from being a full-time personal trainer to a fitness manager? What were the most important lessons you wanted to get across to your trainers whose careers you were helping to build? Khaled: It was about two years into my training career. It wasn’t my leadership skills at the time that got me into management. I actually think I was a horrible leader my first few years as a manager. I didn’t know how to lead people or develop them. The reason I got the job was because I could sell. The management looked at my numbers and figured that I should be able to duplicate them by managing the other trainers. This simply wasn’t the case. So, in that second year I moved into management, but it was really two years later when I learned what it meant to serve, develop, and grow your team. Matt: What do you think helped you start to reach your trainers and extend their careers longer than the average career length (three years)? Khaled: I actively listened. I stopped looking at young trainers as numbers and dollar signs and instead focused on each of them as people. I would sit down with them, empathize, and see what I could do to help. When I did this my own knowledge grew tremendously as well. My trainers started to really trust me and would listen when I offered advice.This is when I started to make a lot of progress with building my team. Matt: That’s awesome. As I’ve gotten to know the industry better over the last few years I’ve noticed that many larger corporate gyms simply expect their to be high churn with trainer hires. They know they can easily hire new trainers whenever they need to, so there’s not enough patience from the organization to let the trainer grow. Some trainers take 3 months to get up and running, while maybe for others it takes a year and a half. Sadly a lot of potentially amazing personal trainers don’t get to that point because they don’t have someone that can be patient and help them along the way. Khaled: Absolutely. I think that you tarnish that trainers excitement when you focus solely on the numbers. We all know that they need to make money, but they didn’t get into this industry because of the money. The motivation for many to get into this career path is that there is a problem they want to work on and be able to impact people’s lives for the better. Young trainers can easily lose that! Within a year of starting their career you’ll have trainers quitting because they lost the fire. They didn’t have anyone guiding them and encouraging them through the hard parts. No one to guide them through the technical part and the entrepreneurial tools they will need to develop. Matt: So you saw this as a problem not only with the trainers you were managing, but across the Bay Area as well which is why you started the NorCal Fitness Summit. Can you tell me about the process to start this event? Khaled: Of course. I love sharing this story. NorCal Fitness Summit really started three years before it was launched. I was in Todd Durkin’s Mastermind and in 2010 I started to think about this idea. It just seemed obvious to me that there needed to be a fitness conference for trainers in the Bay. So, I started to ask questions. Why weren’t the bigger names, like Perform Better and IdeaFit, coming to the Bay Area? I talked to dozens of gyms and personal trainers in the Bay and listened to their stories. Many of them were struggling and it was affecting other areas of their lives. It impacted them in their relationships and at home. Life wasn’t being lived and these trainers were overwhelmed by work. Something had to be created to help them. During those three years of research I really worked hard on continuing to develop myself as well. I started to network more and attend more events. I started to connect with influencers in the industry. In 2013 I came back from Todd’s retreat in San Diego and just went for it. I just told everyone that we were launching this and that it would be a great event for gym owners and personal trainers of all kinds. It was a place for everyone involved in the fitness industry in the Bay Area to come together. It was their event. These gym owners and trainers didn’t have to be on an island anymore. They didn’t have to take a stupid risk anymore without first being able to ask for guidance and receive quick feedback. I wanted to prevent gym owners and fitness professionals from getting to the point where they resented their business or getting into the industry. These fitness professionals should be able to live their lives as well instead of being overwhelmed by work. I got tired of hearing stuff like that and it took a toll on me. The NorCal Summit was designed to solve this problem. Matt: The NorCal Fitness Summit is in its third year of existence and you’ve been able to successfully build a strong community of trainers in the Bay. We, the StrengthPortal team, have been lucky enough to attend and sponsor the Summit multiple times and see this change happen in person. Do you have any stories of trainers taking the lessons they’ve learned from the event and putting it into action? Khaled: Yeah, one trainer that I think of immediately first came to NorCal feeling lost and didn’t know what direction to take her business in. She was at a point where she was ready to give up. She’s been to every single Summit since we launched and, in her own words, she now has a home. She has a community that she can be a part of and reach out to for help at any time. I’ve also taken time outside of the Summit to give advice when she was launching her own business at a Studio. Your recent interview with the guys at San Jose Barbell is another great example. Aljay and Ranbir were mentored by me, attended the Summits and applied what they learned. Now their business is doing 10x better than it was three years ago. I can’t wait to see the effects we’ll continue to have from here on Bay Area fitness from here. Matt: The upcoming NorCal Fitness Summit will be the biggest and best one yet. Can you tell us a little about how this is a big leap forward for you and why you’re excited for the event? Khaled: Yes! Very excited for this one. We have 20 speakers over three days and nights. This was a big step for me. Before we were doing it at Evolution Trainers, which was great, but we sort of outgrew the facility which was bound to happen at some point. So, we rented out some space at the South San Francisco Conference Center. It’s exciting and scary, but it’s a very cool thing to do because our goal here is to change lives. We have a mission of impacting 10,000 trainers who in turn impact their clients. So, the event will be big this year. The speakers will be touching on social media, marketing, business models, new revenue streams in fitness, fitness specific topics like kettlebells, and even nutrition. We’re covering it all and I brought in the best of the best to speak at this event. Anyone who is in the industry and is interested in growing their business has to be at NorCal Fitness Summit on October from the 7th to the 9th. Matt: I’ve been doing a lot of these interviews and am a big believer that the industry is taking a leap forward right now. Better education and business models are getting out there and communities of fitness professionals are becoming stronger and stronger. The result will be that trainers will be able to create much longer careers in this industry than ever before. When you look at where the fitness industry is headed what are you most excited about for the next several years? Khaled: The biggest one for me is that the level of reach that fitness professionals have will increase as will their ability to connect with people who don’t currently prioritize health and fitness in their lives. Technology will be a huge part of this and it’s really exciting to me. We, as fitness professionals, can start to really make a dent in the obesity epidemic by creating more content to educate and communities to welcome people to the lifestyle. I think that the job of a personal trainer will change. It will become more of a health and lifestyle coach instead of just focusing on the fitness part of the equation. You will need to think about the complete equation of sleep, work/life balance, nutrition, and where fitness fits into all of this. I’m excited to see how the profession evolves. At the end of the day, it’s all going to be about experience. The gyms that can provide you with the best experience, results and community, are the facilities that are going to grow dramatically over the next few years. Trainers will need to continually adapt and prepare themselves for the changes in the industry. We will have to do so much more than just focus on getting people in the door and giving them a workout. In 2020 there will be 300,000 fitness professionals in the space. The NorCal Fitness Summit aims to prepare trainers and gyms in the Bay Area so they can learn, be prepared to make adjustments quickly, and get ahead. If we can change just one person’s life at the Summit and help them enjoy a great work/life balance while turning this into a long-term career it will all have been worth it for me. Matt: Well we are excited for the upcoming event and can’t wait to see the impact it will have! Thank you for sharing your story and time Khaled. Chris and Eric Martinez are the founders of Dynamic Duo Training which offers online and in-person coaching services. Their mission is to provide world class services with safe, ethical, scientific, and healthy approaches.